India is subdivided into 28 states, 6 union territories and a National Capital Territory. India a Union of states, is a Sovereign Socialist Secular Democratic Republic with a Parliamentary System of government. The Republic is governed in terms of the constitution, which was adopted by Constituent Assembly on 26 November 1949 and came into force on 26 January 1950. 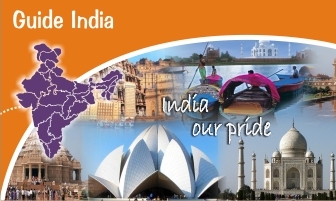 India comprises of 28 states and seven union territories. Jammu & Kashmir , Himachal Pradesh , Punjab , Haryana , Rajasthan , Delhi , Uttar Pradesh , Chandigarh , Karnataka , Tamil Nadu , Kerala , Andhra Pradesh , Gujarat , Maharashtra , Goa ,Daman & Diu , Bihar , Orissa, West Bengal , Sikkim , Assam , Meghalaya , Arunachal Pradesh , Nagaland , Manipur , Mizoram , Tripura , Madhya Pradesh . The states reorganization Act of 1956 was a primary force in reorganizing the boundaries of India's states along linguistic lines, and bringing an amendment in the Indian Constitution whereby the three types of states, known as Parts A, B, and C states, were amended with a single type of state. Though additional changes have occurred in the state boundaries since 1947, the Act is still considered as an undisputed player in providing the present shapes and contours of the Indian states. In November 2000, India gained three new states - Chattisgarh was carved out of MP, Uttaranchal out of Uttar Pradesh and Jharkhand out of Bihar. The Constitution distributes legislative powers between the Parliament and state legislatures. The Parliament is bicameral - the lower house is known as the Lok Sabha (House of the People) and the upper house is known as the Rajya Sabha (Council of States). At state level some legislatures are bicameral and are run along the lines of the two houses of the national Parliament. copyright© guideindia.in, all rights reserved.